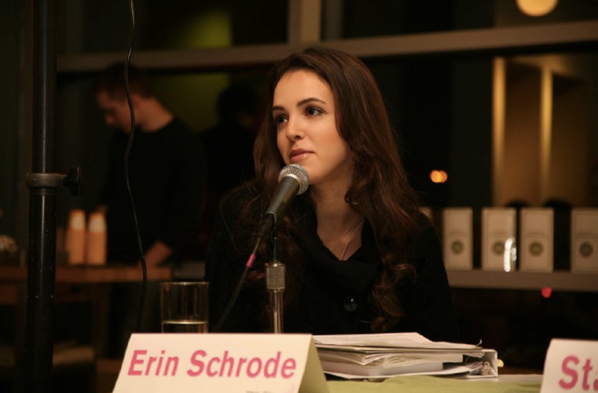 For this week’s Feministing Five, I caught up with feminist activist, environmentalist, and aspiring politician Erin Schrode. At 25, the Marin County Democrat ran for Congress in California’s District 2 this month in the hopes of becoming the youngest woman ever elected to the position. 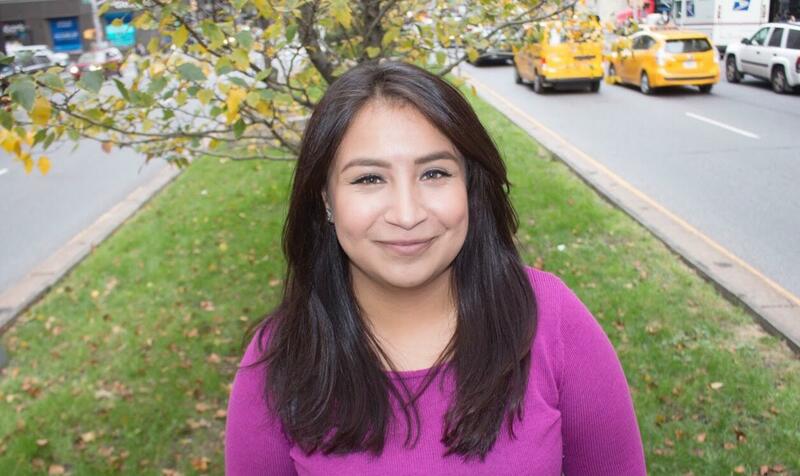 Her dynamic campaign focused on human rights, reproductive health, the future of education and work, and harnessed the power of social media to reach thousands. The NYU-educated vegan has been an advocate for progressive causes for almost as long as she can remember — at just 13, she co-founded the environmental nonprofit Turning Green alongside her mother. Since then, she’s fought for global sustainability, been the eco correspondent for Fusion, worked in disaster response in Haiti, and has gained widespread recognition as a speaker and leader among next generation social entrepreneurs. Today, Erin speaks passionately about the issues affecting millennials and young women and rallies for the causes dear to her with an infectious desire to reinvigorate public service and civic engagement. Though Erin didn’t win the recent election, she’s clearly far from giving up. In fact, it seems the rising political star is just getting started. I spoke with her about what she’s learned over the course of her campaign, how better to engage young women in politics, and what inspires her to keep moving. Remember her name — this is definitely not the last you’ll see of Erin Schrode! Senti Sojwal: You’ve said before that even if you lose the race, you will still consider your campaign an important accomplishment. Looking back, what aspect of your campaign are you most proud of, and where do you see areas of growth should you run again? Erin Schrode: When we launched this campaign seventy days before the primary election, running against a two term incumbent with over half a million dollars in his campaign account, I recognized that the chance that we would come first in the polls was very slim. I needed to outline metrics of success for myself to make this worth my time, my energy, and that of others as well. I outlined three key areas: redefining civic engagement, reinvigorating public service, and expanding the definition of who can be a politician. I wanted to add value to society through the act of the campaign, through the very act of running. And that’s what we were able to do. When I wrote the piece in Medium announcing my campaign, I couldn’t have imagined the resonance. The hundreds of thousands of messages of support from young people and especially young women saying, I never thought that politics was an option for me, but if she can do it I can do it, that shattered molds. It showed a new possible way to blaze a trail. I’m also proud of the issues we raised. The incumbent started talking about them. He sent out a newsletter about women’s rights. I was forwarded it six times within a half hour. So that’s not to say someone had never done anything on the topic, but suddenly he was talking about it among his supporters, saying that it was an important component of this election. Similarly, he used the phrase “tech innovation” and talked about refugees. And the media coverage was a success. Getting to talk about carbon farming and gender equity and student loan debt reform, that’s incredible. To me there were so many different aspects of this campaign that were wild successes, particularly given the unbelievably short runway. I learned more in two months than I had in the prior two years on so many levels. But name recognition wins elections. And in seventy days, I just couldn’t meet enough people. Having the infrastructure to lead an effective ground game takes some time. We now have amazing supporters and volunteers all throughout the district who are ready to be involved again. They’ve said, “Erin, we’re with you for life”. Senti Sojwal: Some of your critics throughout the course of your campaign called you out for using “identity politics”. Why do you think it’s important for you to highlight your identity as a young woman, and what kind of political insight do you think that identity has given you? Erin Schrode: The quote to which you’re referring, what the incumbent said is that I was justifying my entire campaign based upon my gender and youth. I am a woman and I am a young person. Those are two inextricable pieces of my identity. They also influence my actions across the board. I am proud to be a woman and I’m proud to be a member of my generation. I fundamentally do believe that more female voices results in better policies. We see the sorts of numbers in something like business, right? Business is performing better because of the strength of the female perspective across the board. We don’t see that in government because we’re 19.4% of Congress. We make up 51% of the population! So as a young person, I strongly believe that we are better equipped to lead the state. The decisions being make today will disproportionately affect us. Yet we have no place at that decision-making table. 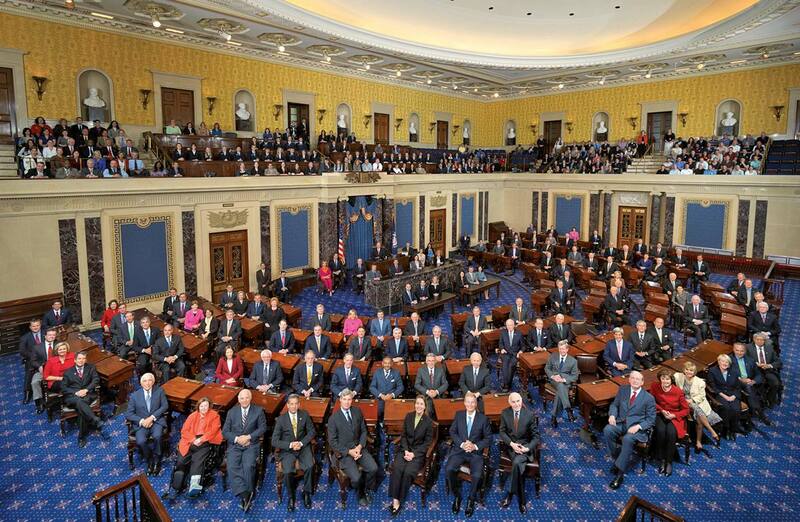 Why is it that in the history of our country there’s never been a woman under 30 elected to Congress? There is no one under 30 serving right now. We need that voice. For me, representation is simply not something we have. I don’t need a country run entirely by young feminists. But toss a couple of us in there? Make that voice heard? It’s really important. And I don’t want people to overlook us. I also don’t want people to vote for me on that alone. On any one issue, one characteristic, one piece of my identity. However, don’t let it be lost on you, because it’s not lost on me. Senti Sojwal: You’ve talked about the great need for a representational democracy, and the importance of having more young people, particularly young women, represented in politics. What do you see as some concrete ways we can encourage millennials to get involved in politics and see themselves as agents of change? Erin Schrode: I see two ways: one is you have to show people a path towards that end. You have to show people that it’s feasible. Right now, one of my friends has a daughter who thinks it’s completely normal to have a woman and a man running for president. So I’ve heard from tons of young people, many of them too young to vote, expressing their amazement at seeing a woman run. It’s like, wow, that’s in the realm of possibility! That’s one idea, just showing people. You can run. And then, there’s policy, and the effects of policy on our daily lives. There’s a lot of people that feel that what happens in DC is so far removed from the rest of our country. It’s the same reason why a lot of us don’t vote. People think, well what’s my vote going to do? I mean, to get present, let’s talk about the horror, the tragic hate crime of what just happened in Orlando last week. There are some loopholes as to why the killer was able to get his hands on guns. We can’t solve all of these issues, and mental health and a culture of violence are two really complicated things. However, if someone is on a terror watch list, or a no-fly list, and they can go in and buy a semi-automatic assault weapon, that’s wrong. And so now you’re seeing Chris Murphy get up on the floor and filibustering for 15 hours. You may not be able to put a ban on semi-automatic assault weapons tomorrow, but we can take a step in the right direction. And people can start to understand that we can turn around policy. Senti Sojwal: You dealt with significant anti-Semitic and sexist online harassment throughout the course of your campaign. Unfortunately, those kinds of vicious Internet attacks are something that many women, particularly women in the public eye, can relate to. How did you take that all in stride, and what’s your advice to other young women for whom sexist trolling is also a struggle? Erin Schrode: There are a lot of sick people in our world. There are a lot of cowardly people who hide behind their computer screens. And it’s horrific to wake up to hundreds of awful emails, messages, comments. It’s such a personal violation also to see my personal information posted on chatrooms by these despicable human beings. It’s rocked my psyche. From a place of personal security, it’s scary. I was also told that it wasn’t a smart thing to talk about during my campaign. And I sat on that for about 24 hours, and I said, sorry, not going to happen. We need to call it out. There are so many people, like you said, who go through this. More people than we even know. And they should know that they aren’t alone. You need to talk about it, or else people can’t support you. They can’t be your allies. Also, so many of these attacks, especially on women, really cross a line. They are attacking people’s bodily safety. And law enforcement, in my case, took it unbelievably seriously. It wasn’t something I could have ever foreseen, because I’m just one woman. But they were like, we’ve never seen anything like this directed towards a candidate. I think putting my story out there enabled a lot of people to rally behind me. And you do need that comfort, you need those words of wisdom, you need to feel that support. And the hateful words still come, but so do the notes from people saying they stand with you. Even if we don’t see eye to eye on the issues, thousands of Republicans reinforced to me that across party lines, they’ve got my back. And in today’s culture, that’s rare. These people, the trolls, will attack on any grounds. They’re attacking my face, my gender, the work I’ve done, the place where I grew up, who I surround myself with — they’ll take anything. We’ve got to stand up and be strong. We have to own our identities and make them a point of pride. Senti Sojwal: After your loss on June 7th, you tweeted: “The #ErinForUs mission will not die June 8…or November 8, or two years from now, or four years from now.” What’s next for you and your future in advocacy? Erin Schrode: Public service is my life. The momentum that we’ve built with this campaign is extraordinary. I’m so proud and excited by what we’ve done. It’s truly just the beginning. I’ve never felt like I’m doing something more worthy of my time and energy, or more relevant. Nothing that’s more effective in reaching people and coalescing individuals for real change. And so to everyone who’s been asking about the re-election campaign, stay tuned! But also, right now, the focus needs to be on the next five months around this presidential election. There’s a really scary reality that we may elect Donald Trump to the White House. That can not happen. He is so ill equipped and unqualified to to be the President of the United States, and he is no one that I want representing the values that I hold dear, that our country and people represent. For a lot of the millennials and progressives who have been very turned off by this election and what’s happening on the Democratic side, we’ve got to get people to vote. Remember that not voting is voting. If you don’t cast a vote on November 8th, that is effectively a vote for Donald Trump. We need to ensure that doesn’t happen. So, that’s the immediate future for me. I’m also really inspired by the effect of our campaign on women. I just went to the United State of Women Summit in DC and it was 5,000 powerhouse ladies, absolute rockstars in their fields, and unbelievable speakers. Pelosi got up and stage and was talking about how much we need more young voices. Obama got up and was talking about more young women, more young people taking active roles. And I was so humbled because so many people who I didn’t even know sought me out, wanting to talk about what my campaign meant to them. So, we struck a chord. And we do need more young people, more women, to believe that they can run, should run, and ultimately, that they will run. There’s something there! Stay with us as the journey continues. Photos courtesy of Erin Schrode.